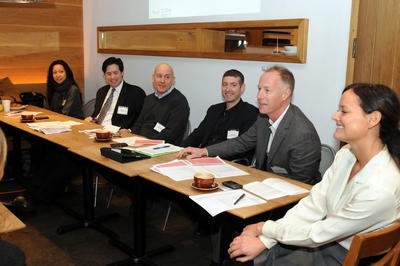 On January 26, the CFDA and BSN partner Retail Space Partners, hosted a panel discussion titled “LOCATION, LOCATION, LOCATION.” The panel consisted of a diverse group of experts including, Asi Cymbal, President of CYMBAL DEVELOPMENT; John Mulliken, Vice President of Store Planning for LOUIS VUITTON NORTH AMERICA; Brad Muro, Partner of DANZIGER, DANZIGER & MURO LLP; Christine Park, Chief Operating Officer for ROGAN/LOOMSTATE and Dave Rayne, Vice President of Real Estate at ULTA,INC. The panelists discussed the current state of the retail market and the various elements involved in launching and operating a retail location. The discussion focused on how to negotiate a lease, create a brand image and identity within a store and the value of customer experience. Included in the material distributed at the panel was the attached Deal Outline which raises some issues to consider when negotiating a lease for a retail store.